The demand for fresh, local food has put a premium on community garden space in all corners of the District. Young people are reconnecting with their food sources, urban planners are preaching the gospel of green space and families are eager to prepare dinner with organic produce they’ve nurtured from seed. But it takes more than dirt and desire to make a garden grow. Cultivating that perfect heirloom tomato or harvesting a bumper crop of crisp greens requires one key ingredient: knowledge. In 2008, the Neighborhood Farm Initiative sprouted to fill that void for DC growers. “While there’s plenty of great gardening books and online resources, NFI was started as a hands-on, educational center to really walk total newbie gardeners step-by-step through their first growing season,” says Liz Whitehurst, NFI’s volunteer coordinator. And NFI is wise beyond its years. The community garden movement isn’t a new phenomenon, Whitehurst points out. The current trend is just the latest page in a much longer history — one that started with Victory Gardens after World War II. So it’s fitting that NFI’s fundraiser next week bridges the gap between generations. 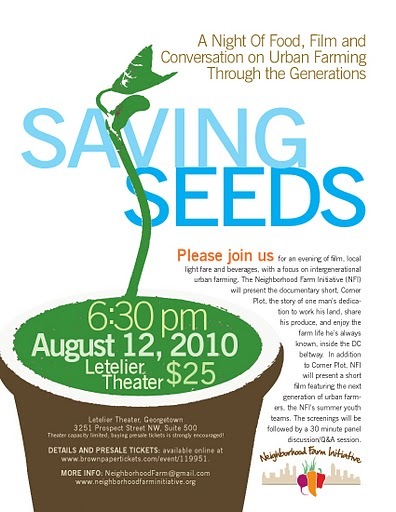 On Thursday, NFI hosts Saving Seeds: A Night of Food, Film and Conversation on Urban Gardening Through the Generations. The $25 ticket price — which benefits the nonprofit — includes local, seasonal hors d’oeuvres, an open wine bar, and a cinematic double-header. The first film screening, Corner Plot, is an intimate and heart-warming window into the life of 89-year-old Charlie Koiner, who’s been gardening his one-acre plot inside the Beltway for decades. 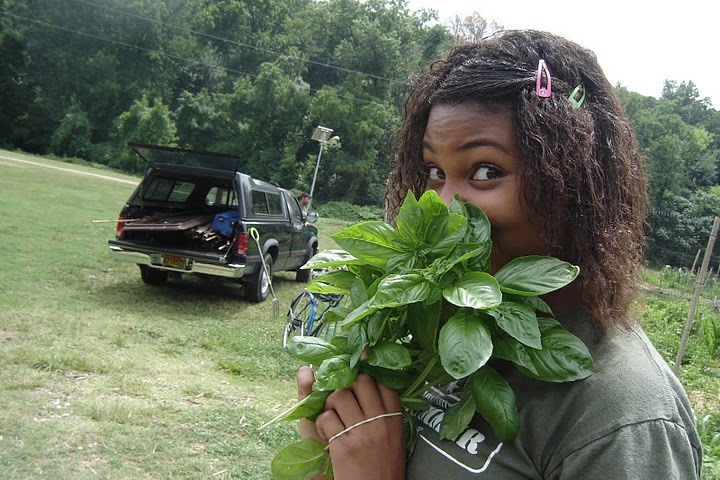 The second movie short follows Teen Green, a summer program NFI launched in 2010 to educate local youth about urban farming, from seed to sale. Those organic connections will be fleshed out after the films, during a Q&A including Corner Plot filmmaker Ian Cook, Koiner’s daughter and several teens from NFI’s summer program. Pretty impressive! Any estimation on what the ROI is of the eco upgrades?